Red Bull Music 3Style is back in the Philippines for its fifth year as a nationwide tournament. 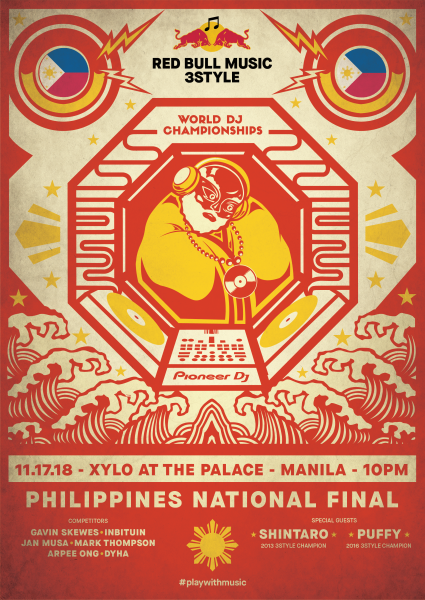 The National Finals brings five (5) of the country’s top DJ’s to battle it out for a spot in the World Finals at Xylo at the Palace, in Bonifacio Global City, Taguig, on Saturday, November 17th, 2018. For updates, track the hashtags #redbullmusic3style and #playwithmusic on social media.